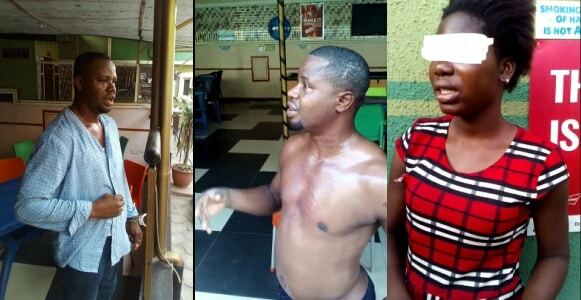 In a video posted online, the girl narrated how the man offered to help after seeing her on the road early this morning by 5am as he urged her to join him in the hotel. He told her to have her bath in the hotel and eat something before going to her mother’s place when the day breaks well. The girl who felt uneasy in the hotel room refused to lay on the bed and relax after being told by the suspect to. The girl said she wanted to leave but the man tried to forcefully have his way with her before she shouted and drew the attention of others who nabbed the man.